35th. Annual Lunar New Year for the 'Year of the Dog' was celebrated by AACC. The dinner banquet this year was hosted by the Korean American community of Chicago, chaired by Mr. Itak Seo, President of Korean American Association of Chicago. An extravagant Asian-inspired dinner menu along with an award ceremony to honor community leaders and outstanding youths and a captivating Asian cultural performances of local talent entertained the guests. 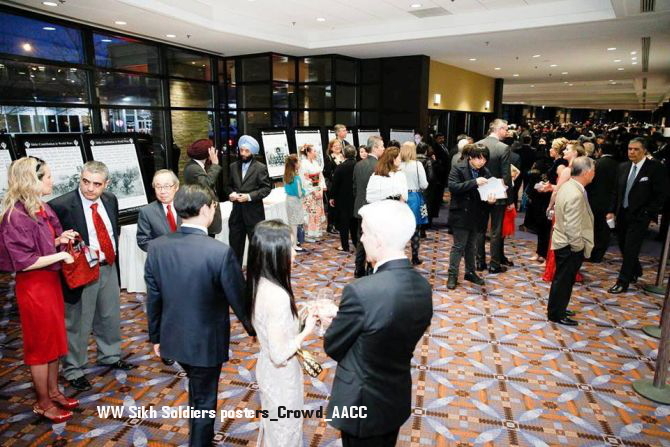 The celebrations brought together nearly 1,000 guests including Asian American community leaders, dignitaries, elected officials, corporate sponsors and the City’s movers and shakers. The AACC Lunar New Year Gala is the largest event of its kind in the Midwest. Illinois Governor Bruce Rauner, Lieutenant Governor Evelyn Sanguinetti, Secretary of State Jesse White, State Treasurer Michael Frerichs, U.S Congressman Raja Krishnamurthi were amongst many Federal, State and local government officials. 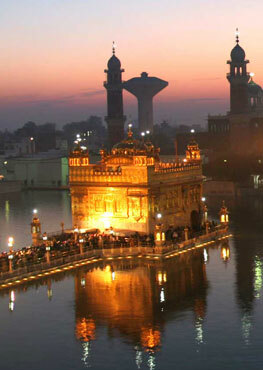 The Counsel Generals of many Asian countries also attended and were recognized. The Coalition presented the awardees of the 2018 Exemplary Community Service Awards and the Youth Who Excels Awards. Mr. Mohan Karamchndani, Vice-president Alliance of Global Sindhi Associations Inc., received Indian American Community service award. 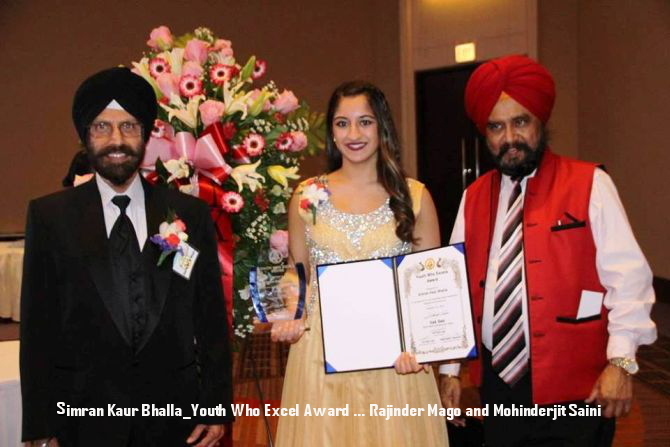 Ms. Simran Kaur Bhalla, a National Exchange Club high school student of the year 2017 of whole state of Illinois, and a freshman at Marquette University received the Indian American Community Youth Who Excels award. 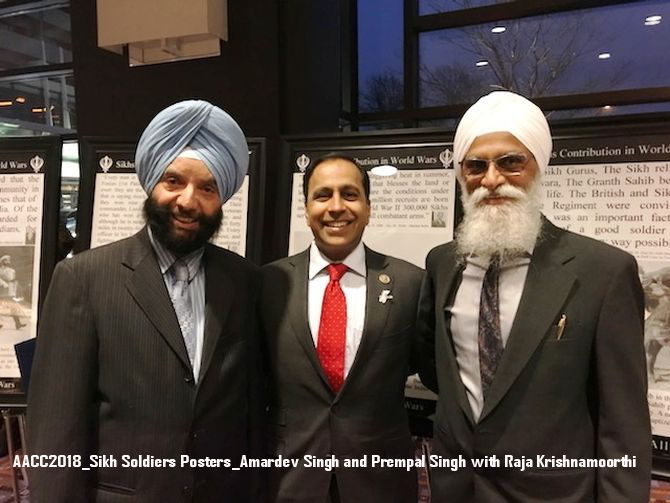 A non-partisan, open-microphone "Political Forum" attended by more than hundred and moderated by Satnaam Singh Mago was held in the reception area of Hyatt Regency O'Hare where the participating candidates running for office in the upcoming primaries were introduced and given time to speak. All the participating candidates were also recognized and highlighted on the main stage in the Grand Ballroom. 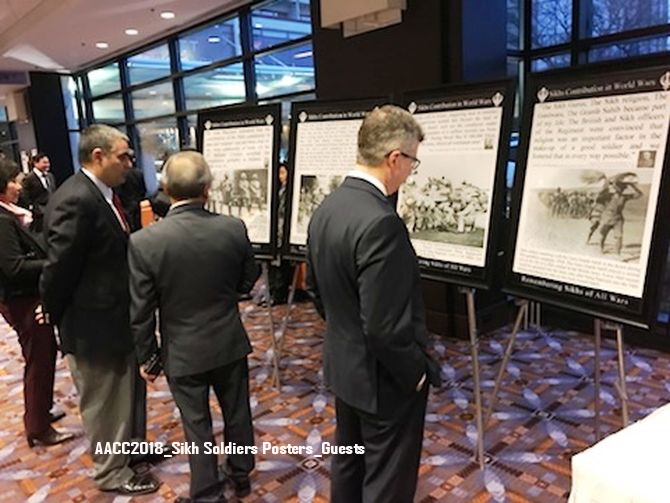 The posters of British Indian Sikh Soldiers who fought in World Wars I & II on side of the allies were displayed at Hyatt Regency O'Hare in the exhibition area by Sarwan Singh Raju, assisted by Amardev Singh Badesha and Prempal Singh. Many dignitaries and guests stopped to see the posters and asked questions. The celebrity presenters were 2014 Miss Illinois Marisa Buchheit , Emmy Award winning TV Personality Billy Dec, Multidisciplinary artist Mia Park and WGN-9 TV anchor Joani Lum. This year, AACC’s most prestigious Pan Asian American Ping Tom Memorial Award was presented to Bart Moy, the area coordinator of Chicago Alternative Policing Strategy (CAPS); the Grand Asian American Sandra Otaka Memorial Award was given to Honorable Anne M. Burke, Illinois Supreme Court's First Judicial District. AACC also presented a special 2018 Outstanding Statesman Award to Honorable Evelyn Sanguinetti, Lt. Governor, State of Illinois. Another special 2018 Outstanding Asian American Award was given to Ann S. Jinh, an internationalist and the C.E.O. of Jinny Corp. 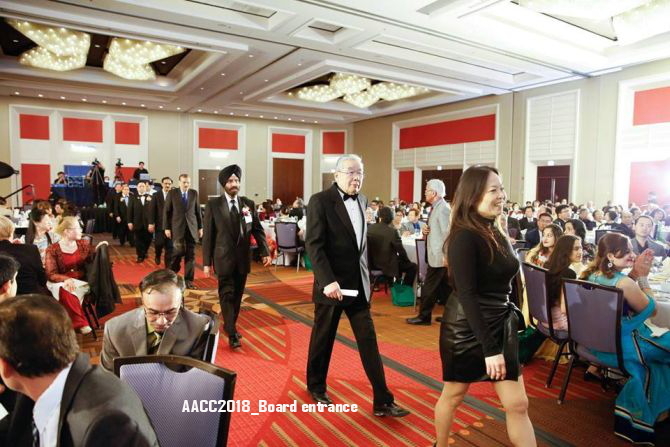 The AACC, founded in 1983 is represented by more than 16 Asian American cultures including Bangladeshi, Burmese, Cambodian, Chinese, Filipino, Indian, Indonesian, Japanese, Korean, Laotian, Malaysian, Nepalese, Pakistani, Sri Lankan, Thailand, and Vietnamese communities. The 9 major Asian American communities have been taking turn to host this event. In addition to the annual Lunar New Year Dinner Banquet, AACC also hosts a week long Asian American Festival at Daley Plaza Chicago during the Asian American Heritage month of May. The Gavel was passed on to the Filipino American Community who will host the AACC Lunar New Year Celebration event in 2019. 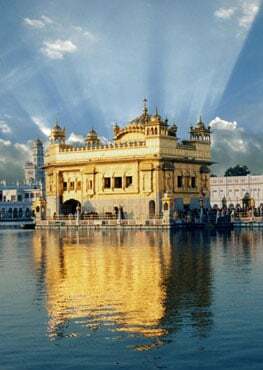 Engineering Sr. Managar now dedicates much time for interfaith and Sikhi outreach efforts.